Schedules are updated on a timely basis, but could change without notice. Please check MIAA website for official schedules. Official schedule. 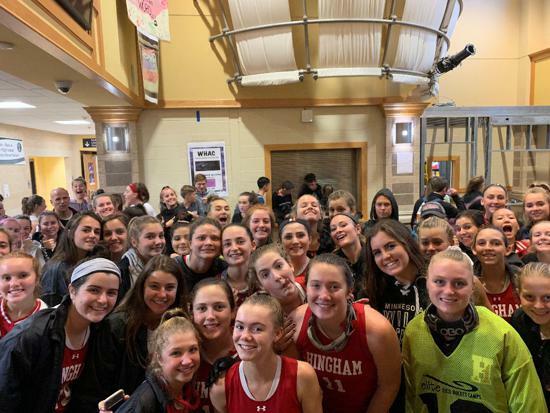 To be notified of changes: Go to http://miaa.net/schools/public/HingHi1 Filter by Field Hockey, select teams and select “Schedule Notification Sign-up”. Add your email address or to receive texts, use format 5551234567@mms.attnet (AT&T) or 5551234567@vtext.com (Verizon) replacing 5551234567 with your mobile phone number. "Favorite" your teams and specific games to add to them to your calendar. Once games added, opt-in to receive push notifications of schedule changes. Click here to download for Apple iTunes and Google Android. Thanks for a great season seniors! Click here for additional information on rules, development programs, drills, national teams. Click here to download a copy of the welcome letter!